This new hire checklist helps employers prepare for a new employee's first day at work. It includes key tasks to complete and documents to prepare before their arrival. Avoid legal risks, by reminding you to submit all employment documents within deadlines. Make new hires feel more comfortable, as you’ll have prepared their workspace. Create a friendly, collaborative environment, as current employees will know when and how to welcome their new colleague. You can use the following new hire checklist as a guide to remind yourself of tasks to do before your new employee’s first day. You could also attach the employment contract, where you describe terms of employment in detail. Send a new hire announcement email to all employees to make sure they give a warm welcome to their new colleague. Send a reminder to hiring managers to make sure they prepare new employee’s first-day tasks. Arrange for new hire’s ID card, building access fob and personal locker. Order new employee’s business cards and/or name plates. Ask for new hire’s T-shirt size and place an order for a work uniform and/or a company T-shirt as a welcome gift. Assign a buddy to help new hire through first few weeks or months in the role. 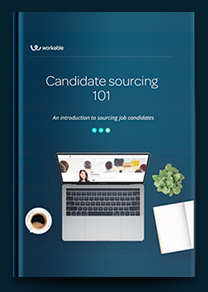 Learn how Workable’s recruiting software integrates with bob, an HR, employee engagement and benefits platform.